Oh come on. Sometimes, a band presents you with an opportunity that makes writing this stuff just too easy. It’s almost embarrassing. When band provides you with this much ammunition, the exercise becomes not finding things to write about, but an agonising flurry of cuts as the article is snipped down to an acceptable size. The source of all these trimmed and scattered superlatives? 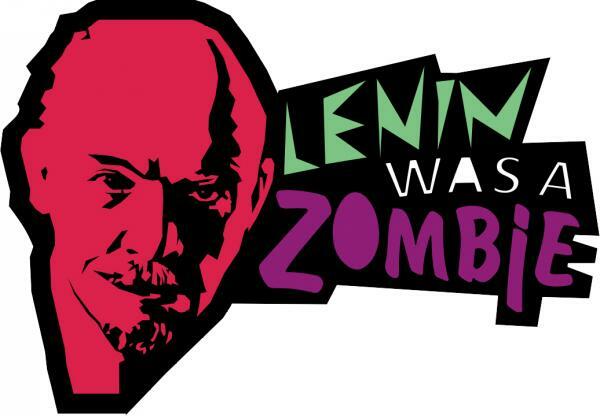 Well, Lenin Was A Zombie, of course. Yep – that’s right. Read it again and scratch your head in wonder that no-one has pulled that name out of the hat before. Perhaps its because anyone owning headwear containing such absurdities would have been committed to secure facilities years ago. Then consider that the band in question is from Russia, where surely such declarations are tantamount to writing your own jail term, and try to figure out how they have survived this long – long enough to write songs as brilliantly nerve jangling as theirs are. All this, of course before we even consider their magnum opus, their meisterwerk, their home-run-knockout-punch-twenty-yard-volley of a hit, I Got A Monkey Head. In all honesty, the review could feasibly end right here, allowing writer and readers alike to sit down, winded, and to absorb the insanity of the words, the locomotive brilliance of the song, and the hopeless task of marrying such disparate concepts. ‘I got a monkey head and everyone is laughing at me,’ muses the singer, choosing to focus on what is almost definitely the least of his worries. Posted on July 27, 2010 by Joe Sparrow. This entry was posted in Headline, Today's New Band and tagged monkey, stupidly bangin'. Bookmark the permalink. RADIO SHOW // Last Month In Review: July’s Top 5 New Bands | A New Band A Day! New Years Evil – The Death and Rebirth of Self-Awareness | A New Band A Day!